Anybody who is considering getting veneers will be curious about the cost of porcelain veneers. The price of this product will vary depending on a few different factors. Consumers who know the average cost of veneers will ensure that they are getting the best value for money possible. Firstly it is important to understand that the cost of porcelain veneers will vary from state to state. Consumers can expect to pay an average of $1,500 per veneer. However small towns will have lower prices. Prices in big cities tend to be inflated as dentists in these areas have higher overheads. For example commercial rent in New York is much more expensive than rent in North Carolina. Dentists pass on the cost of their expenses to their customers. This is done by including them in the price of their products and services. 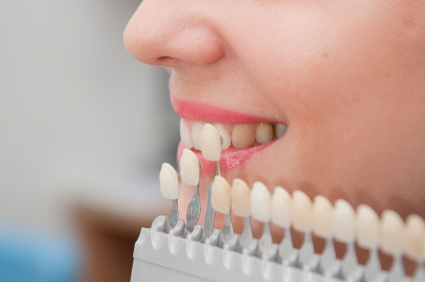 Consumers should be wary if they are offered very low prices on veneers. A quote for veneers under $1000 should set off red flags. The dentist offering these rates may not be good at their job or they may be selling an inferior product. Dentists with low amounts of business may be cutting the costs of their services in order to make ends meet. Consumers should ask the dentist why they are offering this low rate. Taking a risk when it comes to dental work is not worth saving money. If the veneers are not put in properly the consumer will have to go back to get them adjusted. This will result in extra costs for the consumer. People who are considering getting veneers should visit three or four dentists for an obligation free consultation. The dentist will be able to give the consumer a list of the work that needs to be done. They will also be able to advise how much it will cost. Patients can then compare the quotes they get and choose the dentist they are happiest with. It is important to note that cost is not the most important factor to consider when choosing a dentist. Getting dental work done can be a nerve racking experience. Due to this consumers should choose a dentist who they are comfortable with. Consumers who cannot afford to get veneers should look into financing. There are numerous companies which offer dental hire purchase agreements and low-interest personal loans. The dental office may even have an in-house plan for customers. This makes porcelain veneers accessible to everybody regardless of their cost. Posted by mimin on March 25, 2012 at 6:54 pm under Free dental insurance. Comments Off on A Guide To The Cost Of Porcelain Veneers.